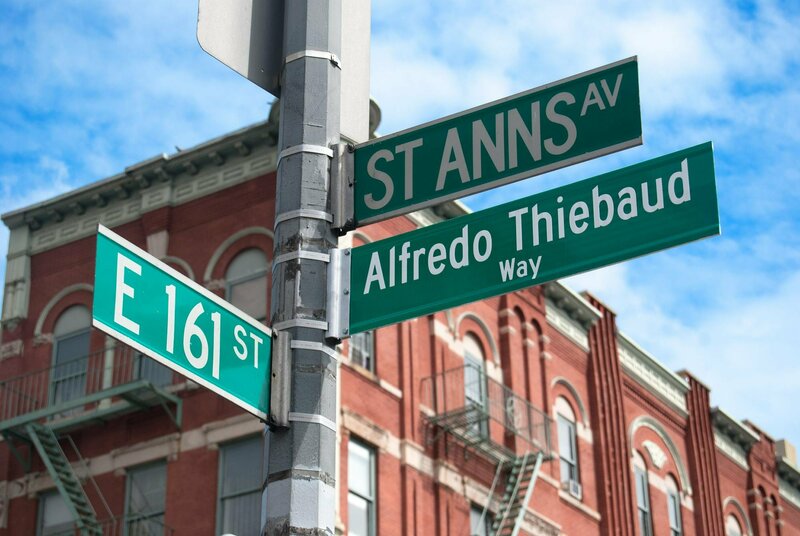 The street corner of 161st Street and St. Anns Avenue was re-named and dedicated after beloved Delicioso Coco Helado founder, Alfredo Thiebaud, whose fleet of pushcarts have enlivened our summers in the South Bronx for more than four decades with a multi-flavored assortment of ices. 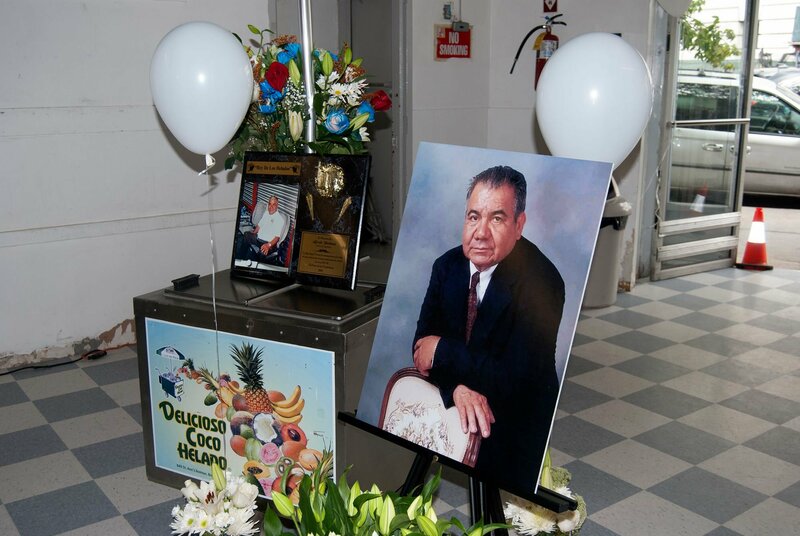 The ceremony was attended by family members, hundreds of Delicioso Coco Helado employees and vendors, and elected officials. The business leader and philanthropist died at the age of 74 in September 2014. 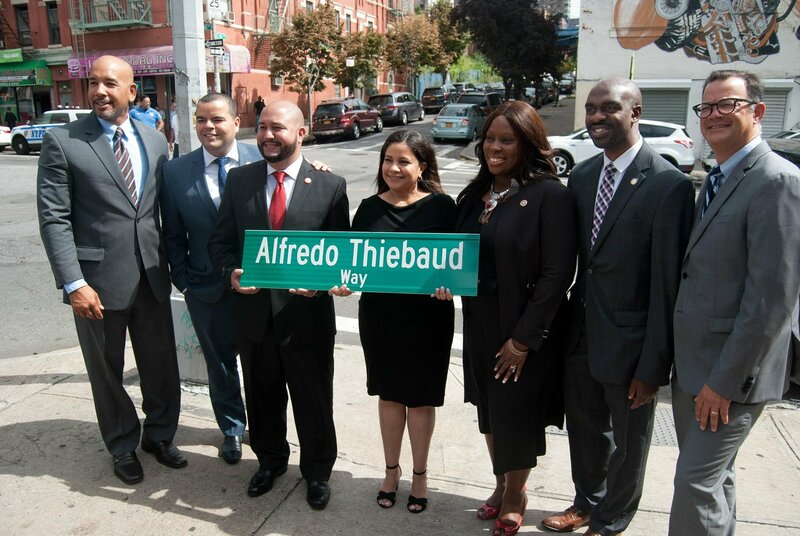 Mr. Thiebaud was honored in 2015 with an induction into the Bronx Walk of Fame during Bronx Week.